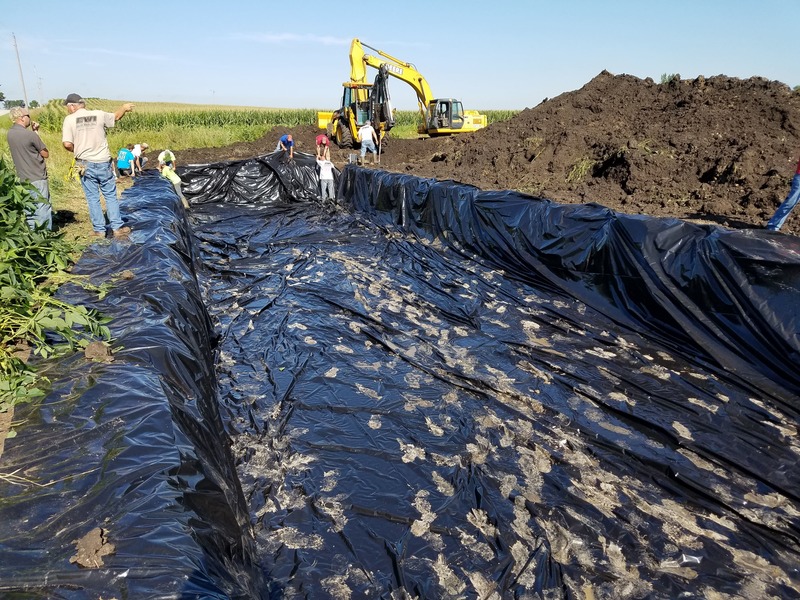 An agricultural producer within the Fourmile Creek Watershed has installed the first side by side edge of field practices; a saturated buffer and a bioreactor. These two water quality practices focus on removing nitrates from the tile water leaving his fields. Once installed, both practices are almost undetectable and take very little farmable ground out of production. While they both serve the same purpose, they accomplish the task in very different ways. A bioreactor is installed by digging a large pit in the ground, filling it with woodchips, and then mounding dirt over the top. The woodchips provide a carbon source for beneficial microbes within the system to feed on. 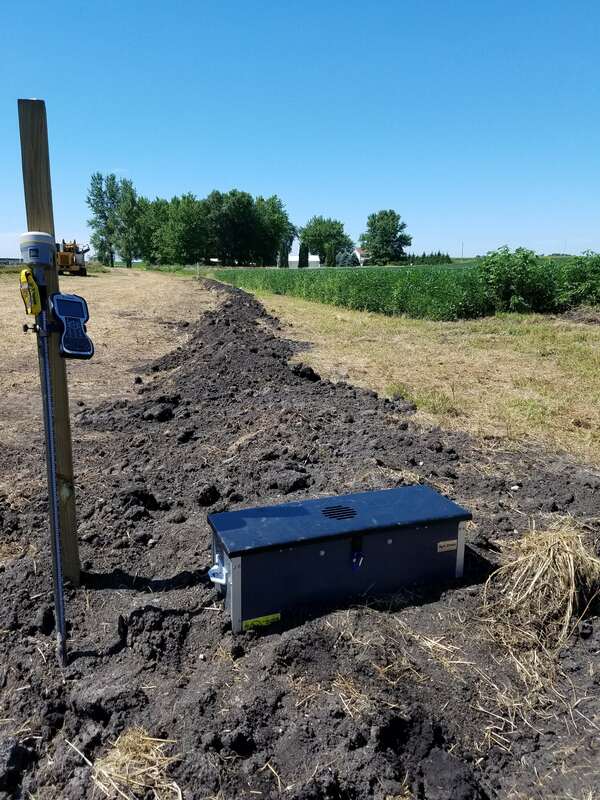 Using a control structure box placed on the existing tile line, water is directed into the bioreactor. As the water flows through the woodchips the microbes use the nitrates as part of their respiration process, removing it from the water. The water exits the bioreactor through another water control box and is sent to Fourmile Creek. Saturated buffers work by utilizing the vegetation already present in a streamside buffer. Normally, tile lines run right through streamside buffers, with no treatment of the water. A control box is places on this tile line intercepting the water running through it. The water is then diverted into underground perforated tile lines running parallel to the vegetated streamside buffer. These tile lines allow the water to slowly seep through the root zone of the plants. The plants and microbes within the soil can then utilize the nitrates in the water before it reaches Fourmile Creek. There is currently two years of baseline data on how much nitrates were leaving the tile lines before the practices were installed. Iowa State University and Iowa Soybean Association will now be monitoring the water exiting these systems. This will allow us to determine their effectiveness of nitrate removal and if they are working properly. 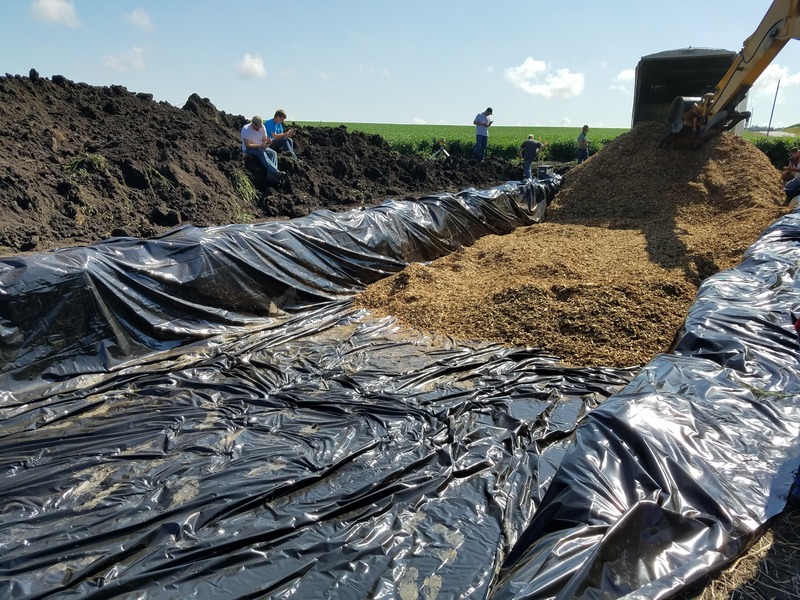 Both conservation practices are listed within the Iowa Nutrient Reduction Strategy; a technology-based framework to assess and reduce nutrients to Iowa waters and the Gulf of Mexico. This strategy outlines a goal of reducing nitrates from non-point sources by 41%. 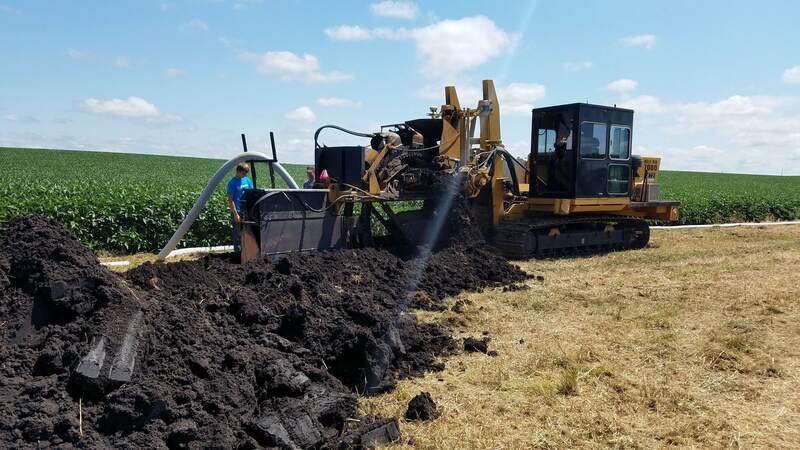 In order to achieve this goal, many more saturated buffers and bioreactors will have to be installed throughout the state. Other conservation practices that will help reach this goal are wetlands, cover crops, and filter strips.